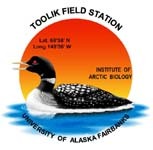 » Abundance and biomass of major taxonomic groups of arthropods collected with pitfall and vacuum sampling in Arctic LTER plots fertilized for 24 years near Toolik Field Station, Alaska in the summer of 2013. Nutrient addition experiment: The LTER moist acidic tussock (Toolik MAT) site was set up in 1989. The experimental design is four blocks of 5 x 20 meter plots with randomly assigned treatments within each block. Treatments include control (CT), nitrogen (N), phosphorus (P) and nitrogen plus phosphorus (NP). We sampled insects in the Control and NP plots only. Fertilizer is added annually following snowmelt in June as 10 g/m2 nitrogen (as NH4NO3) and 5 g/m2 phosphorous (as triple superphosphate). Arthropod sampling: Arthropod sampling was conducted three times during the 2013 growing season: June 13-15, July 11-13, and August 8-10. Ground-dwelling arthropods were sampled using pitfall traps on clear, sunny days. Four pitfall traps were placed in a 1x1 m grid near the center of each plot’s 5 x 5 m destructive sampling area (a previously established subset of the 5 x 20m plot). Traps consisted of a clear plastic sample cup (approximately 9 cm in diameter, 15cm deep), placed level with the ground surface and filled approximately 4cm deep with 75% ethanol. Traps were left for 48 hours, at which point the contents of the traps were transferred to vials and brought to the laboratory for processing. We sampled canopy-dwelling arthropods with a leaf vacuum-blower modified with an aluminum hose to extend the reach of the vacuum arm. We vacuum sampled on a calm, sunny afternoon within each pitfall sampling windows (13 June, 12 July and 8 August 2013). In each plot, we designated a 1m2 area near the center of each experimental plot’s 5x5 m destructive sampling area. We took care to standardize sampling effort for time and area sampled: while standing on the edge of the square, we ran the vacuum at full power in six, five-second passes spaced evenly in the quadrat, at approximately 0.5m (just above the plant canopy in fertilized, shrub-dominant plots), 0.25m, and 0.05m above the surface of the ground. Muslin bags were used to collect the arthropods that moved into the airflow of the vacuum. Samples were transferred to a freezer within 45 minutes of sampling, after which animals were separated from any plant material collected during sampling and stored in 75% ethanol until identification. Arthropod identification and functional group assignment: All arthropods were identified using published keys (Triplehorn and Johnson 2005, Marshall 2006). Arthropods were identified to the family level with three exceptions: parasitic Hymenoptera from the vacuum samples were identified to superfamily, while those from pitfall traps were identified only as Parasitica; Collembola were identified to order; and mites were identified as subclass Acari. A functional group was assigned to each taxonomic group (see Table S1). We use the term “functional group” in a broad sense, conveying especially the similarity in diet (e.g., trophic groups - herbivores vs. predators). For some taxa, assignment was approximated. First, we classified adult Brachyceran flies that were not known parasitoids and did not have piercing mouthparts as nectarivores, although they likely rely somewhat upon detritus for energy, particularly as larvae. Second, because they are typically soil invertebrates, we refer to Collembola, fly (Diptera) larvae and mites as detritivores, although certain taxa may be fungivorous (Collembola) or predaceous (Mites and fly larvae). Arthropod biomass estimates: We estimated arthropod biomass by applying published taxon-specific allometric equations (Sample et al. 1993, Hódar 1997, Sabo et al. 2002, Gruner 2003) to the body length of the first five individuals of any taxonomic group encountered in each sample (detailed methods available in Perez et al. 2016). Body length was measured to the nearest 0.01mm using a digital microscope camera. Version 1: Data and Metadata added to web and uploaded to LTER Data Portal.